I recently purchased several polishes from Looney Lacquer, this is an aussie indie nail polish available through etsy.com here. 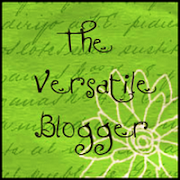 Loony Lacquer is created by Marie and she has her own blog Marie's Manicure Madhouse if you would like to go take a look. Please excuse the fuzziness of my photos, my camera does not like to photograph glitter but it does give you some idea. Flower Power is a limited edtion polish which would have to be the prettiest glitter I have ever seen. It is so mesmerising I can't take my eyes off it! 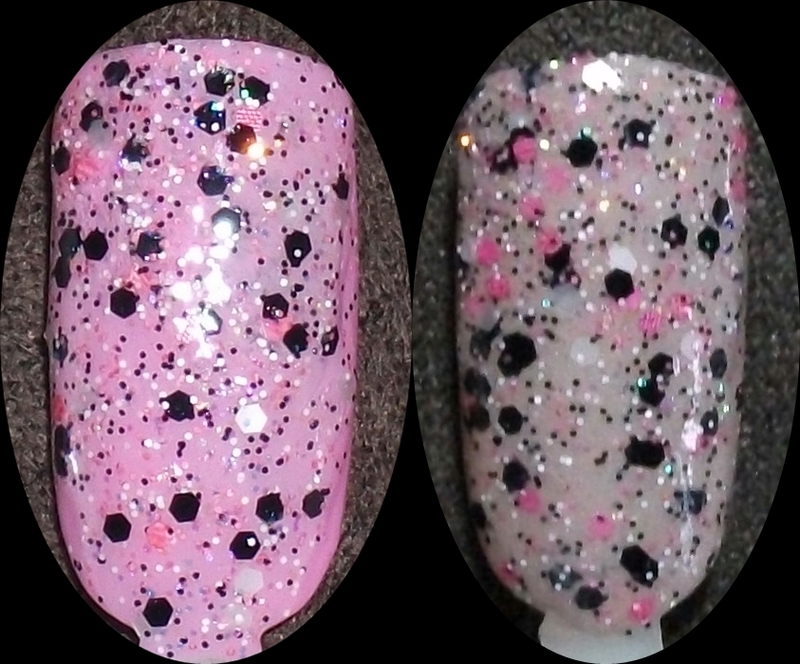 Flower Power consists of a clear base with black, white, pink and rainbow shifting glitter. What I really like about this polish is the ease of application. Marie only uses high quality suspension base and it really does make all the difference. The base is not gloopy, the lacquer applies thinner and easier than some other indie polish I own. The glitter does not sink to the bottom so your not fishing for pieces of glitter or continually shaking the bottle between nails, it's not messy to apply and does not collect in your cuticles. 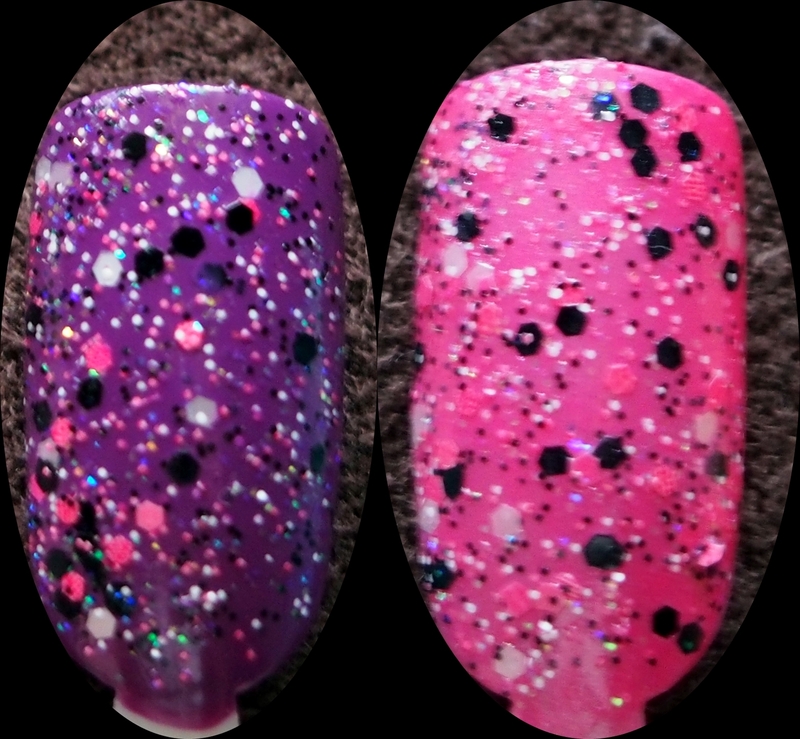 Below are two swatches I made to show up the glitter to best effect using a different shade base, it is a gorgeous polish don't you think? (l-r) Essence Free Hugs & Essence Cafe Ole, I took these shots under a day lamp. Unfortunately this was a limited edition and sadly there are no more in the shop. I really hope that Marie might consider making a few more because this is a polish that should be shared. Maybe we could ask nicely! The glitter colour combination sort of reminds me of a rock chick hahaha. Especially on the neon pink base. It's all my favourite colours in one combination, I've never seen anything like it. Trouble with black is you would lose all the black glitter but it would certainly show up everything else really pretty! They are all so cute, I think I like the bottom two, I'm slowly getting into pastel colours at the moment! I really like pastel colours too!